Polly Professional has a lot going on today. She has a blog post due, a podcast script to write, an employee review to conduct, two client meetings, and she’s meeting her cousin Penny for dinner. And then it comes. Ding. An email from Steve Stranger. Maybe he’s a sales pro trying to set up a “quick meeting to discuss his company’s solutions,” but it’s clear he has no idea what her company does or what Polly’s role is. Or maybe he needs a job, and he figures that being her second-cousin’s college roommate has got to qualify him for something. Or he wants to write for her company’s blog, even though he doesn’t understand the audience or the topic. Worst of all: Maybe he wants to pick her brain. Polly grits her teeth and counts to 10, then deletes the message. She considers marking it as spam, but she’s feeling kind-hearted today. But she is never, ever going to answer Steve’s email. Why? Because Steve failed to respect her time. He didn’t do his homework. When you approach someone without doing your homework, you send a clear message: You think your time is more valuable than theirs. It’s annoying for Polly — but it’s murder on poor Steve. Let’s face it … sometimes we need to ask folks for stuff. There’s nothing wrong with that. Helping one another out is an important part of business. Steve could have spent a few minutes preparing for that request — and Polly would have been a lot more likely to consider it. Here’s how to do your homework, so you don’t end up like Steve. I can’t tell you how many cold sales emails I get from people who demonstrate that they have no idea — at all — what my company does. Unlike kind Polly, I often do mark them as spam. When you’re approaching a person or an organization, take the time to understand their work. If they have a blog … read it. Not just a week’s worth of posts — really look at it. Have they identified their most popular posts? Read those. Yes, all of them. Look over their website, their podcast, their YouTube videos, their white papers — any content they’re putting out. If it’s an individual, take a look at what they post on LinkedIn or the other social platforms. What recurring themes do they address? If their content tells stories … what’s the moral? What do they see as their unique winning difference? What kind of language do they use to talk about that? What do they do? How does that make money? Who are their customers? How do they serve those customers? Taking some time to look through a company’s website and content is pretty common-sense, even if people often don’t do it. But smart networkers know that it’s just the beginning. Whether you’re trying to reach a person or an organization, take a look at who their audience is. These are readers if you’re approaching a blogger, viewers if you want to connect with a popular YouTuber, and customers if you’re approaching a business. Influence comes from an audience. The audience is the battery of the system. This used to be somewhat hard to do, but social media has made it much simpler. Do they have blog comments? Read them. Do they have a Facebook or LinkedIn presence? Tune in to the audience conversations there, not just what the influencer is saying. And when I say “tune in,” realize I’m talking more about listening than I am about weighing in. You can socialize later — it’s often a good idea. But first, understand who you’re socializing with. You’re looking for what’s energizing this audience. What do they complain about? What are they worried about? What do they struggle with? What problem do they turn to this influencer or company to solve? How’s that going? If you understand the audience, you understand the influencer. If you understand the customers, you understand the company. You won’t always have this option available to you, but if you do, take it. What’s your influencer or organization spending a lot of time thinking about these days? Do they have a new product launching or a big promotion running? Do they have a book out? Maybe there’s a challenge or a community event going on. Maybe they have a charity they’re doing a lot of work with. If you can connect what you have to offer with something they care about, it’s a lot easier for them to hear what you have to say. Please stick with what you can readily find that’s been publicly posted online, though. Homework is good … stalking is not. If all of this seems like it would take a lot of time … it probably takes about as much time to approach five people intelligently as it does to approach 100 like a monkey throwing paintballs. Those five people will be far more likely to actually stop and listen to you, because you’ve respected their time (and your own) with relevant, pertinent communication. And you’ll stand out … because most of what’s in our inboxes is paintball after paintball. Got to dodge those paintballs! One trick I have used in the past to reach influencers is to join their email list and reply to those emails. They may not reply back to all of them but after a few times of seeing your name and that you are engaging them, they usually write back! Bonus, tell them how they have helped you already! Ego boost for them = better chance of response! Ah, that’s a good one! If an influencer’s advice has helped you in some way, and you let them know how, that makes an immediate impression. Thanks for bringing that one up! Seth Godin always writes me back. Always. 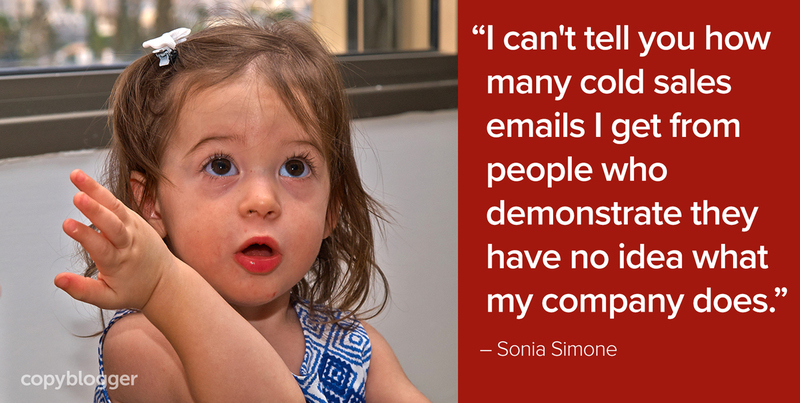 Sonia, I think what you are saying makes a ton of sense. Some of the influencers out there have a lot of information to go over. How much time do you recomend spending on really getting to know someones business before you approach them? I would say spend the time to feel like you have a decent understanding of what can be readily seen. It doesn’t have to be exhaustive — just to show that you have spent some time and thought figuring out where they’re coming from. I’m homeworker and it’s very difficult to capture the attention of customers. I understand that the influencers do to grow our small business, but don’t easy get for them. Well, I move forward to the future, and I hope will be the best. Yes! As a new business owner who happens to specialize in market research, we do our research before our reach-outs. I wish I could say the same about the vendors who call us. It is really important to study your customer before entering the market. A detailed and accurate result will help you to get a better results. Yes, you are right bro. A detailed and accurate study will yield good results in the market. Cold sales e-mails are infuriating, but they are nothing on those generic, copy and pasted LinkedIn messages that seem to land in your inbox almost daily! Like you say, you can’t take the same approach with everyone – or else any correspondence will have a cold, generic feel. For me, personality is key. Great job Sonia, another great article that was a pleasure to read. Great article. You’d do your homework before an interview (well, I do at least). I do the same when I’m preparing to pitch a potential client. The method works.